A whiskey-voiced singer who was the first to record ‘Fly Me to the Moon,’ the Cleveland native also starred in the movies, on Broadway and in nightclubs. 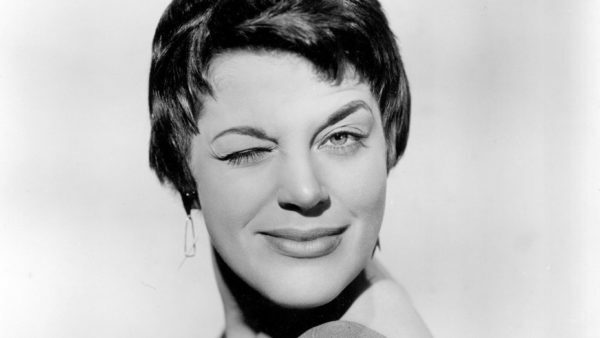 Ballard, a popular nightclub entertainer and star on Broadway who was the first to record the popular tune “Fly Me to the Moon,” died Monday at her home in Rancho Mirage, Calif., The Desert Sun reported. Eve Arden and Herbert Rudley played their married neighbors, and when the couples’ kids (Jerry Fogel, Deborah Walley) elope, the mothers-in-law can’t help but get in the way. The show ran from 1967 to 1969. Ballard’s turn as the bored housewife Helen in the 1954 Broadway mock-musical comedy The Golden Apple, directed by Norman Lloyd, was a career highlight, as was her performance of the song “Lazy Afternoon” in the production. Ballard made her movie debut in the musical The Girl Most Likely (1958), starring Jane Powell (that was the last film produced by RKO Radio Pictures). She also appeared opposite Shelley Winters in the drama A House Is Not a Home (1964); with Jerry Lewis in the comedy Which Way to the Front? (1970); as Coach Betsy in Jodie Foster’s Freaky Friday (1976); and as Jack Weston’s wife in The Ritz (1976), directed by Richard Lester.